Fuel prices have rocketed once again and although you can’t do anything about the price hikes, you can limit your fuel consumption. Tyre pressure: The correct tyre pressure is extremely important. Apart from you saving fuel, it will also ensure that your tyres last longer. When the tyre pressure is too low, the resistance between your vehicle and the road is heightened, which means your vehicle has to work harder and uses more fuel. Stop and start: Every time you hit the pedal, it means your engine has to work harder. When you brake and pull away, it means your engine has to work hard again, therefore use your accelerator sparingly and drive in such a manner that you need not stop and pull away again continuously. Idle: If you have to sit in your car for a long period and you let it idle, you use more fuel. It is therefore better to switch off your engine if it is possible and safe and so doing decrease fuel consumption. Air conditioner: Your car’s air conditioner uses a pump that is driven by the engine, which means your car has to work harder when the air conditioner is on and you use more fuel. Try to use your air conditioner more sparingly. Service: A car that is not serviced regularly will not function at its optimum and this can result in your car using more fuel than is necessary. Weight: Every extra kilogram can have an influence on your fuel consumption, so do not drive around unnecessarily with heavy items that make your car heavier. Even a roof rack can make your car heavier and should rather be removed when not being used. Driving habits: Many driving habits, such as speeding and driving short distances, can also increase your fuel consumption. Your engine uses more fuel when it is cold, so to drive short distances will set your fuel consumption soaring. Rather plan your routes. It is also better to drive in a higher gear as it decreases your engine speed and can improve fuel consumption. Also try and drive at a constant speed. Buy another car: Many cars are known for having a higher fuel consumption. 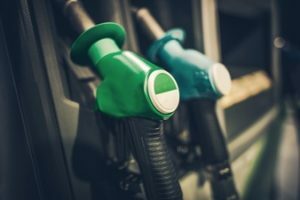 If you are serious about decreasing your fuel consumption significantly, it is worth your while to investigate difference motorcars’ fuel consumption.